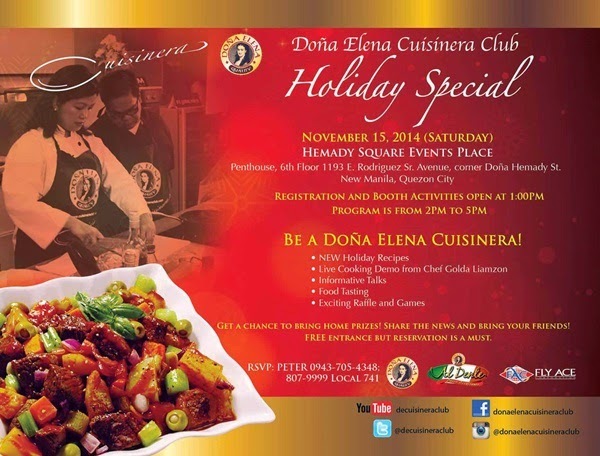 I was invited to the Dona Cuisinera Club Holiday Special held at the Dona Hemady Square Penthouse not too long ago. As expected it turned out to be an afternoon of informative talks, inspiring food demos by the Dona Elena Cuisinera Club resident Chef, and yummy food tasting. 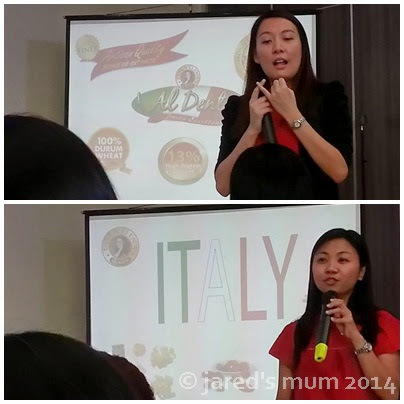 It was joined in by fellow mum bloggers and the growing members of the Dona Elena Cuisinera Club. If you have not heard about the Dona Elena Cuisinera Club before then you can join the club. I was not aware this group existed until I got an invite to their event. This group of dynamic mums who love and enjoy cooking has been around since 2007. The Dona Elena Cuisinera Club was born as a creative response against the perils of unhealthy living and aims to turn Filipinos into full-blown Cuisineras, people who champion healthy eating without compromising the taste and quality of the food. This group offers cooking classes, food tasting activities, as well as nutrition talks in their events. As I have mentioned earlier, the event was filled with exciting and delicious activities. But before moving on to the more exciting part of the program, Ms. Karen and Ms. Rachel from Fly Ace Corp gave a short talk about the wide array of the Dona Elena product line. Essentially most of their products are delicious parts of European and Mediterranean cuisines, not to mention has numerous health benefits, too. Pasta ~ the Dona Elena pasta is the only Artisan Quality pasta brand in the country and is made from 100% Durum Wheat Semolina, available in 5 different variants: Fettuccine, Spaghetti, Penne Rigate, Fusilli, and Lasagna. Those who joined this gastronomic occasion also got a taste of fun and delicious activities starting with Bob the Olives and Capers game and a guessing game of how many pasta are in a jar. 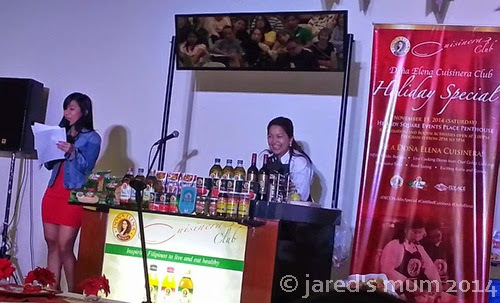 Of course, the many booths outside were also doling out samples of delectable Dona Elena products like different variants of pasta, anchovies and others. Many were excited to try out the games and a lot of people also lined up to sample the pasta, nachos and salsa, as well as the anchovies and sardines. Probably one of the most-awaited part of the program is the food demo by Dona Cuisinera Club resident Chef, Golda. For this particular demo, she showed us how to prepare delicious and healthy feast that are fit to serve our families for the holidays, including Dona Elena Lengua Estofado, Salmon Caesar Salad, Mediterranean Lasagne, and Chocolate Chip Olive Oil Cookies. Everything looked delicious, I tell you, and it seemed easy enough even for the most kitchen-challenged mum to accomplish in her own kitchen. 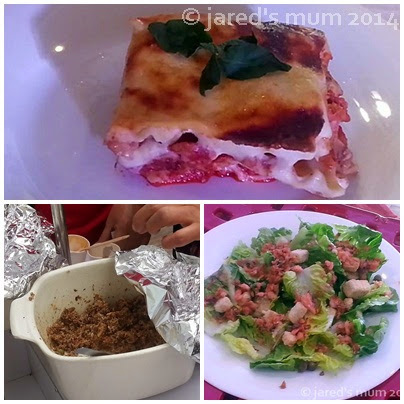 This entry was posted in foodie adventures and tagged cooking, foodie events on 8.December.2014 by admin.